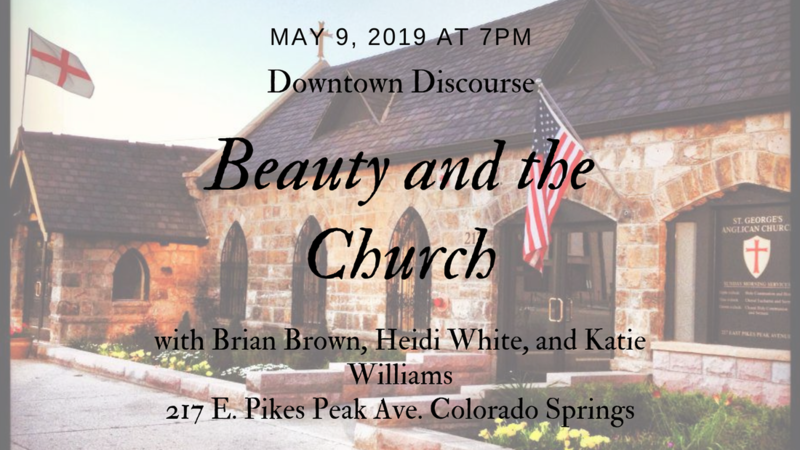 Downtown Discourse evenings are free and open to the public. Historically, the church offered beauty to the world through thoughtfully structured architecture, thoroughly designed interiors, and theologically formed parishioners entering their various vocations and bringing life and beauty to their spheres of influence. We will look back at the role art has played in church history, think through whether art is a luxury or a necessity to the church, and discover why story-telling is part of the beauty the church has to offer the world. * Nursery is available for children 12 and under. Please contact roxanneseither@gmail.com to reserve your spot.